Bethesda and Arkane Studios’ re-imagining of the Prey franchise is a wonderful throwback to oldschool immersive exploration design brought up to modern 2017 standards. The story of stealthy aliens taking over a massive space station and how your character deals with them, as well as the surviving humans, is absolutely fascinating. The real star in Prey, however, is the incredible amount of freedom you have in tackling objectives and building your character’s arsenal of abilities as every situation has multiple ways of getting through it. The only real letdown in Prey is the clunky combat and bland enemies you face, but you’ll be having so much fun doing everything else they can be forgiven. For all of the details see our full Xbox One review of Prey 2017. 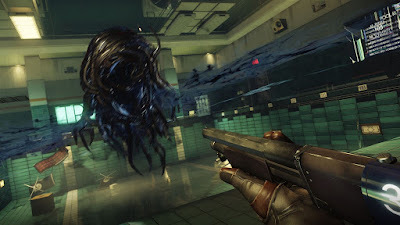 Veteran gamers are probably vaguely aware of another game called Prey that was on the Xbox 360 and PC back in 2006. 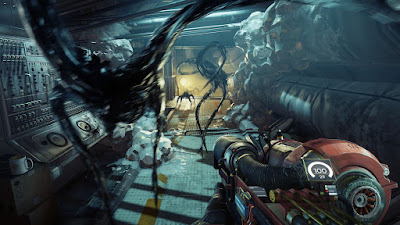 Despite having the same name, and the fact Bethesda bought the rights to the franchise with the intent of making a sequel, this new Prey game in 2017 has nothing to do with the old one besides the title. 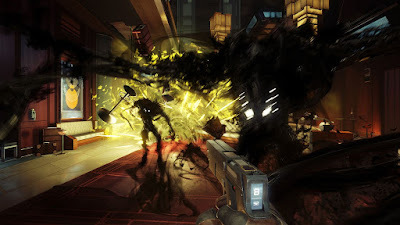 If you’re interested in Prey 2006 it was a pretty decent sci-fi FPS at the time, but I can’t say for sure how it has held up in the last 11-years. 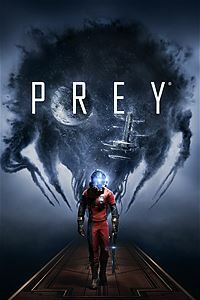 Prey 2017 (from hereon referred to simply as Prey) is the story of Morgan Yu – a scientist on the Talos 1 space station. The scientists there have been investigating a dangerous alien species called Typhon and using them to produce all sorts of technology as well as human body modifications. As expected in a setup like this, the alien samples escape and take over the station and it is up to Morgan to try to stop them. Whether that means blowing up the station (along with the other surviving humans), killing only the Typhon with weird science, or saying “screw it” and leaving before the job is even done, the choice is yours. Prey is a first-person open world game where you are free to explore the station. You can pick up a huge range of items in the world and recycle them to create resources that you can then turn into useful items such as med kits, upgrade materials, bullets, guns, and more. You get into a rhythm of scouring every room for items and keycards and everything else you can get your hands on. Preventing you from having free reign to do whatever you want are the various aliens lurking about, of course. The Typhon aliens come in various forms with the most common being the mimic. Mimics, as their name implies, can mimic any item in the environment so you never know when a coffee cup or food item or trash can might be an alien in disguise waiting to pounce on you with its gross little tentacle arms. Other Typhon include bipedal humanoids with elemental forms, giant floating blobs with various abilities, and even some very large, very strong, very scary ones that start showing up midway through the game. I’m sure that all sounds cool, but the Typhon are actually pretty lame. They’re all really just amorphous black blobs that are temporary annoyances that get in the way of the fun exploration. Fighting them isn’t particularly fun, either, as the combat in Prey is decidedly clunky. The shooting and aiming just doesn’t feel satisfying at all as the weapons are weak, the enemies surprising bullet sponges, and the combat encounters repetitive. Making it even worse is that the amount of combat greatly increases throughout the game as the aliens take over the station. Your first encounters with the Typhon are very intense and scary but that feeling quickly fades as you realize just how boring and repetitive and lame they actually are. Making up for the so-so combat is just how great everything else in Prey is, however, thanks to an incredible amount of freedom built into its design. You have a wide range of abilities you can unlock through the use of neuromod items you find – or manufacture – scattered around the station. These mods let you hack computers and doors, repair mechanical things, run faster, jump higher, give you more health, better stealth, and even use alien abilities such as transforming into a mimic, teleportation, mind control, and more. Depending on what abilities you choose your experience in Talos 1 can be wildly different from one playthrough to the next, which is very cool. Also, using too many alien abilities can turn the station’s defenses against your character, which is also a very cool dynamic. The upgrades you choose affect how you can get around the station itself. Higher hacking or repair abilities will let you bypass doors or other blocked areas, for example. Or investing in strength abilities will let you simply pick up and move heavy objects blocking doors out of your way. With a special Gloo Cannon (that shoots ball of expanding foam) you can build pathways to climb around and across and over almost any obstacle in the game. Investing in alien abilities opens up a totally new set of skills that let you bypass locked doors and other things as well. In no other videogame I can think of has entering a locked room had as many options as it does in Prey. Do you hack the door? Do you find the right keycard on a body somewhere? Do you simply break the window? Do you shoot the door release button with a foam dart? Do you use a maintenance tunnel connected to the room? Do you climb above the room and drop in from the ceiling? Do you transform into a smaller form and enter through a hole? Any of these options and more are available to you to solve pretty much any exploration puzzle in Prey, and it is awesome. Exploration is always handsomely rewarded, too, as vital resources or keycards and passwords are scattered around pretty much everywhere, so doing everything and trying anything is always worth it. Freedom also applies to how you deal with situations with other human survivors. Once again there are multiple ways to deal with a given scenario, but human lives are at stake rather than just brute forcing a door open or something. The impact of these moral choices is enhanced by the fact you can learn a lot about the citizens of the station while you’re exploring through e-mails and audio logs, which does a good job of making them feel real and tangible rather than just obstacles to overcome. It is a shame that Prey’s flaws are so prevalent in between all of the great exploration and freedom the game offers. In addition to the mediocre combat – which, while mediocre also can be incredibly difficult in spots if you don’t have enough medkits or ammo – there are other problems, too. The game has incredibly long load times when traveling between areas. Also, the game stretches its concept way too thin by the end and you just want it to be over with. You end up going back and forth across the station multiple times on fetch quests and it just stops being fun. It took me 15-hours to beat the first time and it probably would have been better without the last third. Presentation wise, Prey is pretty solid in most areas. 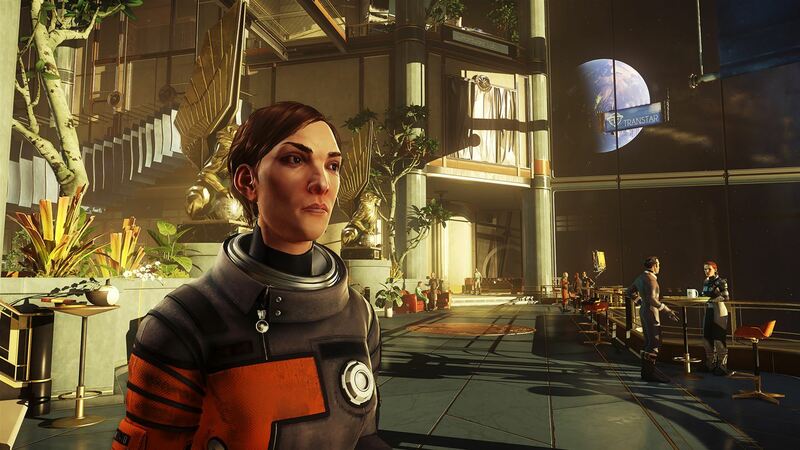 The character models are not great and the aliens are bland looking blobs, but the environments look great, the lighting is awesome, and the space walking sections – yes, you do venture outside the station quite a bit – are gorgeous looking. The sound design is also very good for the most part with some great music and sound effects for everything, though I’m not a fan of how the “battle music” kind of spoils enemy encounters since you’ll always know when an alien is around ahead of time. 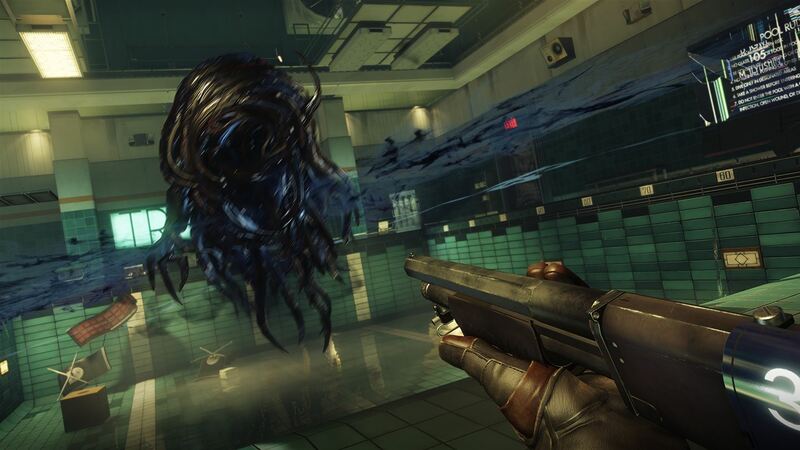 Ultimately, Prey is a pretty darn good experience even with some issues. I honestly wonder if the game wouldn’t have been better as a pure walking simulator-style game with little or no combat like The Assembly or Alien: Isolation (the alien parts, at least). The best parts are easily solving puzzles in unique ways and exploration and the combat just gets in the way here, particularly in the latter half of the game when things are kind of running out of steam anyway. Like I’ve said many times in this review, though, the good parts in Prey are insanely good and make the experience totally worthwhile. The incredible amount of freedom in using your imagination to come up with ways to do things is truly a wonder and the wide range of build types gives Prey excellent replay value. Prey falls just short of being great, but it is still very good and worth a look. Buy it.